Jeff has pioneered an ambitious approach at Zillah High School in rural Washington State. He challenges his students in 9th to 12th grades with advanced science courses that also count for college credit – and has found that they succeed. His instruction is filled with cross-curricular projects, so that he can engage and excite all of his students and have them practice working in teams. Jeff set up a program called the Zillah Robot Challenge that provides expertise and a free robot kit to schools across the state. Over 3,000 students from 75 different schools have participated in the competitions since 2008. He is the STEM coordinator for the 25 public school districts in his state and sits on the Washington Student Achievement Council that coordinates schools and higher education institutions. From 2004 to 2012, Jeff served as online instructor for Central Washington University’s Continuing Education Department. 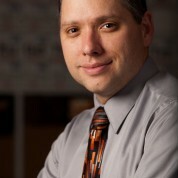 In 2013 he was named National Teacher of the Year.